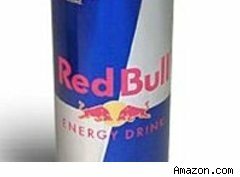 College students can get free Red Bull today, Nov. 4, 2010 when they sign up to get a text message sharing a secret on or off campus location for the giveaway. Red Bull staff will be at 190 colleges across the country, from the Academy of Art University to Yale, giving away free 4-packs of their popular energy drink. If your school is on the list, enter your cell phone number and you're good to go. Supplies are limited and will be given out first come, first served. By signing up for the freebie announcement, you agree to receive future text messages from Red Bull. If you have limited text messages as part of your cell phone plan, this may not be a good idea. You can unsubscribe, however. Caveats: you must be 18 or older to join the mobile text list.